The state of retail continues to be a hot button topic for brands and retailers alike for good reason: Knowing where a consumer shop is a critical component to your strategy. 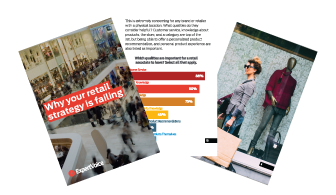 ExpertVoice surveyed more than 500 consumers to see how they perceive the current state of retail, and the responses revealed some worrisome data. While the respondents confirmed what many brands and retailers know to be true — consumers shop in brick-and-mortar locations, and plan to continue to do so — they provided insight into why they might be inclined to shop less.